Looking to plan the perfect golf trip to Auburn-Opelika, Alabama? Planning a buddies trip or a romantic golf getaway can be a full time job not to mention pressure filled to deliver a memorable experience. Below is an interview with Robyn L. Bridges, Vice-President who shares some insider information about golfing and traveling to Auburn-Opelika, Alabama, must play courses, a sample itinerary and where you can go for more planning tools. Auburn-Opelika is the proud home of Auburn University, Alabama's biggest, and the Robert Trent Jones Trail, the world's finest. It's the coolest college town in the South, according to us, and one of the top 10 cities in the US for small businesses, according to Forbes. Centrally located near Atlanta, Birmingham, and Montgomery, Auburn-Opelika is easy to get to and easy to love. With lodging facilities to suit any taste and budget, Auburn-Opelika is a perfect choice for a relaxing getaway. Opportunities for affordable and incomparable dining abound: sample the pecan-smoked chicken wings at Acre, the famous fried green tomatoes with shrimp at Hamilton's, or the grass-fed beef tenderloin at Amsterdam Café. Or maybe the 50-year-old secret family recipe of Mrs. Story's famous chili dogs is more your style! Complete your evening with cocktails at the sophisticated and intimate Avondale Bar & Tap Room in downtown Auburn or a craft beer at Red Clay Brewing Company in historic downtown Opelika. 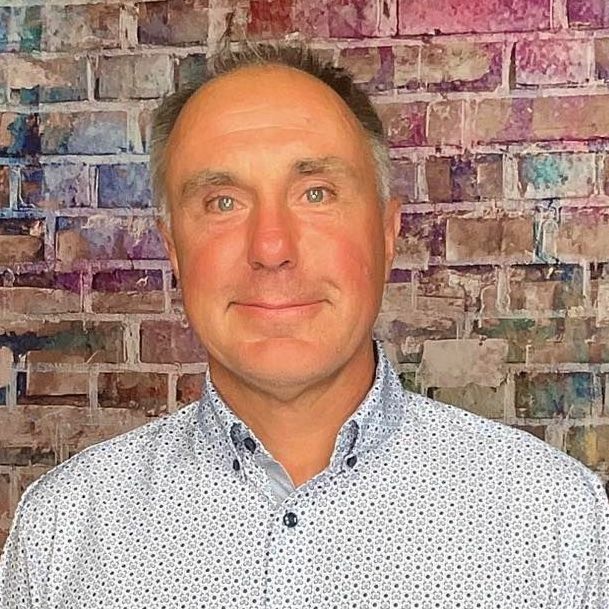 Plenty of shopping and diversions are available for the non-golfers in your group, or if you just need a break from the links. Both Auburn and Opelika feature downtown shopping districts full of eclectic boutiques offering assorted clothing, arts, and gifts you won't find anywhere else. Come experience our clean, safe, and vibrant community, where you can get toilet paper, lemonade, fine art, and foie gras all on the same block, and where it's still ok to walk downtown after dark. What are the must play courses in Auburn-Opelika, Alabama? 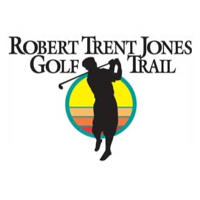 ROBERT TRENT JONES GOLF TRAIL AT GRAND NATIONAL Built on 600-acre Lake Saugahatchee, 32 of the 54 holes drape along its filigreed shores. Grand National was ranked as the top public golf course in the 2009 Golf World Readers' Choice awards. The Links course was named by Golf Digest as the 2nd best new public course in America in 1993, followed by the Lake course as the 4th best. 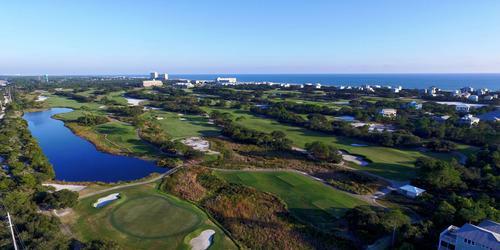 Both courses have also made the top 10 of Golf Digest's list of America's Top 50 Affordable Courses. The three courses at Grand National are also listed among the nation's 40 Super Value courses by Golf Digest's Places to Play. Home of the Auburn University Golf Team, this 18-hole, 7,326 yard championship golf course is situated on 225 acres of beautiful rolling hills and woodlands. Designed by Bill Bergin in 1999, the course surrounds the 25-acre Yarbrough Lake and is partly bordered by Saugahatchee Creek. Auburn Links features large TifDwarf Bermuda grass greens and rolling fairways along Parkerson's Mill Creek. By taking advantage of the natural beauty already in place, Auburn Links has a scenic, yet fair layout for every golfer. 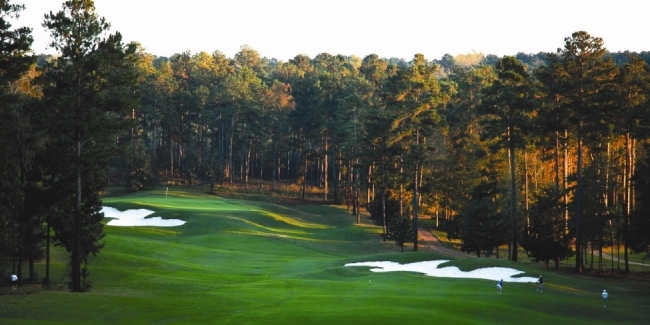 In February of 2008 Golf Digest recently presented Auburn Links with the 4 star award and Links Magazine once ranked the course third best among public courses in the Southeast Region. Also recently voted one of the "Best Golfing Values" in the South. Nestled in Southeastern Alabama's countryside is one of the South's most picturesque golf courses - Moore's Mill Golf Club. Designed by Day-Blalock, the golf course is carved throughout the rolling terrain, mature hardwoods and towering southern pines native to Eastern Alabama. Adding to the serenity and beauty of the course is the Moore's Mill Creek, which twists and turns throughout 15 of the 18 holes. Indian Pines is an exciting 18 hole regulation course featuring Bermuda grass in the summer and Bent/Rye mix in the winter. From the longest tees it presents 6,213 yards of golf for a par of 71. The course rating is 68.8 with a slope rating of 119. The Robert Trent Jones Golf Trail at Grand National is by far the best golf value in the US. Avoid the crowds and peak-season rates of spring and take advantage instead of our best-kept secret: the lowest rates and best weather of the year happen in the fall! With mild temperatures year-round, we even find Northerners taking their December-January rounds in shorts!